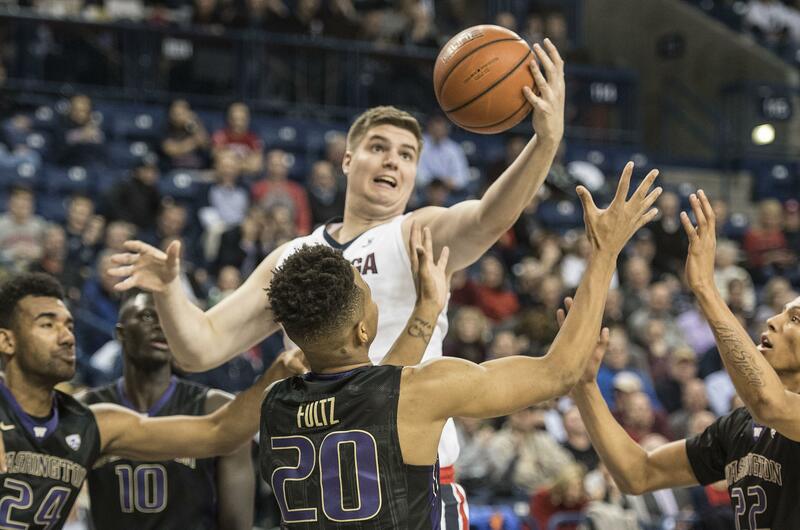 Tue., Aug. 21, 2018, 6:45 p.m.
Former Gonzaga center Ryan Edwards is heading to Spain for his first season of professional basketball. Edwards, who finished his career as a grad transfer at Portland State, has signed with Valls Nutrion. The team is based in Valls in southern Spain. The 7-foot-1, 295-pound Edwards averaged 2.1 points, 1.7 rebounds and 6.2 minutes in 65 appearances over three seasons. He decided to skip his senior season but later changed his mind and transferred to PSU. The Kalispell native started 30 games and averaged 9.7 points and 4.0 rebounds last season for the Vikings. Published: Aug. 21, 2018, 6:45 p.m.